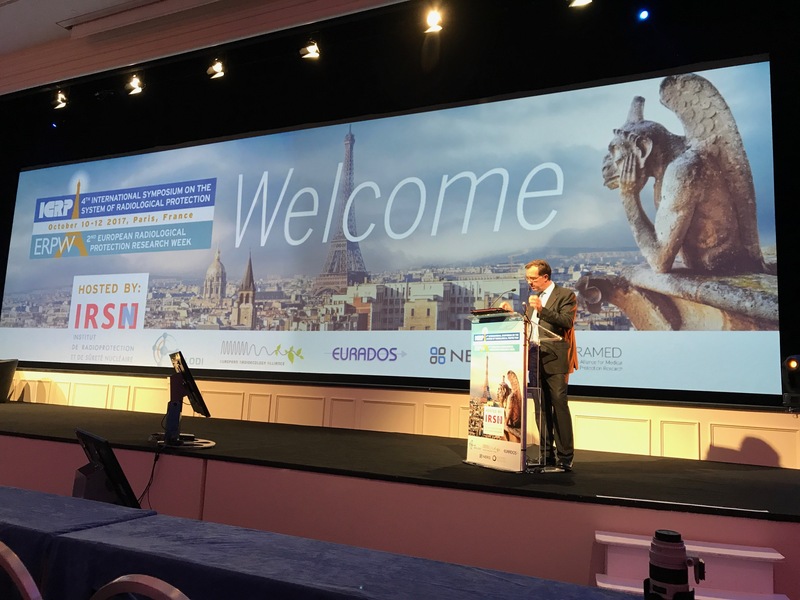 The 4th International Symposium on the System of radiological Protection of ICRP and the 2nd European Radiation Protection Research Week of the 5 European research platforms (ALLIANCE, EURADOS, EURAMED, MELODI and NERIS) was held in Paris, France, between 10-12 October 2017. At this occasion, the MEDIRAD project was presented to the radiation protection community. The MEDIRAD Project aims to enhance the scientific bases and clinical practice of radiation protection in the medical field and thereby addresses the need to better understand and evaluate the health effects of low-dose ionising radiation exposure from diagnostic and therapeutic imaging and from off-target effects in radiotherapy. This project has received funding from the Euratom research and training programme 2014-2018 under grant agreement No 755523. For more information, visit the project's page on the European Commission's Community Research and Development Information Service CORDIS. Copyright 2017, MEDIRAD | All Rights Reserved.